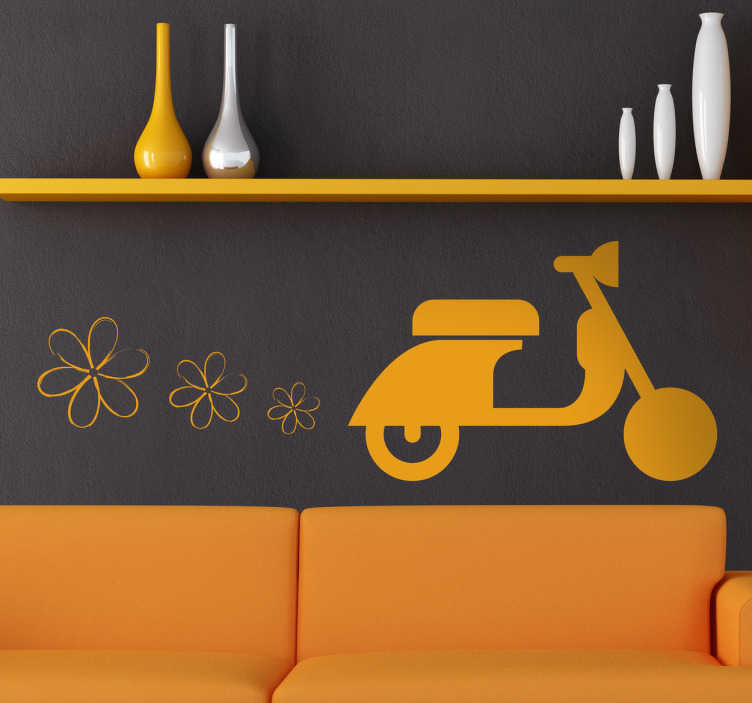 Modern design with the silhouette of a Vespa scooter that is polluting the air with flowers. A chic decal that is ideal for decorating any room in your home. Add a fun and decorative touch with this easy to apply sticker of this famous Italian motorcycle brand. Customize in any size and colour that you like in order to adapt it perfectly to your space. This sticker with a simple design can be applied easily to any flat surfaced, and removed without leaving behind any residue.